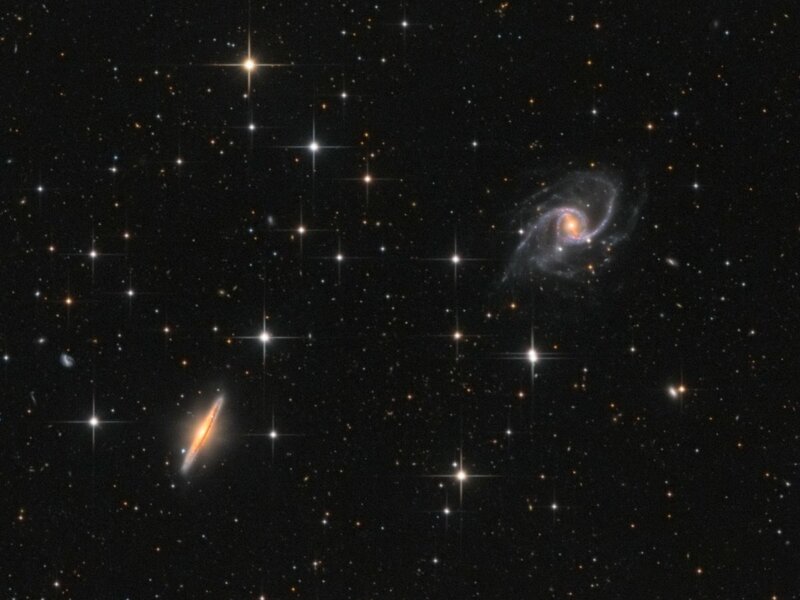 On the border between Draco and Bootes lie, at about 140 million light-years distant, a pair of 12th magnitude galaxies NGC 5905 and NGC 5908. As can be seen in the image, NGC 5905 is a face-on barred spiral while NGC 5908 is an edge-on spiral. So, the pair are actually both spiral galaxies and nicely illustrate the striking contrasts in appearance possible when viewing spirals from different perspectives.